Posted byShruti Gupta	 July 13, 2017 January 12, 2019 Leave a comment on How to Delete a KIK Account? Kik is the one of the most upcoming popular and the latest smartphone application used for instant messaging like other messaging apps such as Facebook Messenger and Snapchat. We can use Kik to message individual friends as well as a group of friends. A Kik account is created by an Email and password and does not use your phone number like WhatsApp to create an account and connect to your contacts. 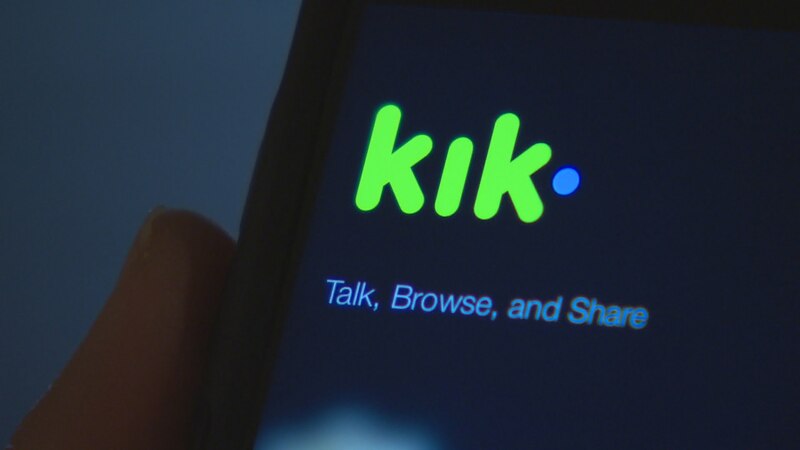 Users of this application can connect with each other by finding a particular username, scanning a Kik code, or using their phone contacts by entering the phone number. Unlimited messages can be sent and received to anyone having a Kik account. It is very much identical to the SMS text messaging, however, it uses the smart phone’s WiFi connection or data plan to send and receive messages. Kik was released in 2010 and the app grew to be a popular chat platform having about 4 million users within 2 years and by May 2016 it had over 300 million users. It is used because of its intuitive and functional app features that make is easy to chat about anything via text message. It is very easy to share photos, videos, GIFs, and emoticons apart from normal messaging. You have a choice of sending temporary images through Kik Messenger. You can ensure that the pictures will not be saved by the person you have sent. One can enable the option of self-destruction, this gives the other person time to see the picture but not save it. The pictures are only available for viewing for some seconds. Through this app you can decide whether you want to be approached by strangers or only those who are added to your chat list. The app is supported by an inbuilt web browser. This can be used to go online without having to stop chatting with anyone for the same. The app also features a store and you can purchase contents like stickers and others photo features to give a different touch to your chats. The app is enabled to send videos pictures and music files. There is no proper sensor system provided by the app to the chat community. The underage children can use this app and be exposed to inappropriate content. This could involve an exchange of graphic images and videos. There is no proper system of age verification of this app. Though this has been designed for people more than the age of 17, this gives a way for cyber crimes and cyber bullying. The app consumes a lot of memory space of the smartphone. There is a danger of virus hitting your smart phone and PC because of the pictures and videos sent which may result in damaging your gadget. Even when the app is not being used it drains the battery of the smartphone considerably which is not very likable why its users. Enter the email address that’s registered to your Kik account on the temporary deactivation website on your Kik account. Email will be sent with the link to temporarily deactivate the account. Confirm temporary deactivation by clicking by clicking on the link. Once you have done this your Kik account is deleted temporarily. Entering the correct information on the permanent deactivation website of your Kik account. Email will be sent with the link to permanently deactivate your account. Click on the confirm option to permanently deactivate. If you have sent messages or searched for someone from your account your profile will be cached on their device, as a result, it may take a few days to disappear from their phone. New contacts who search for your username won’t be able to find your account. Deactivating the Kik messenger account permanently is not as easy as other apps. Other apps are easily deleted by uninstalling it from the Play Store but the Kik account needs to be deleted from the Kik website through your mail account.